From efforts to improve air quality and work to clean water supplies, a lot of great, green news happened in 2014. This was a big year in terms of environmental advancements and we could not be happier to cover these stories and share this good news with you. California Passes State-Wide Bag Ban. After many years of hard work California Governor Jerry Brown signed into law a disposable plastic bag ban. This measure will prohibit single-use plastic bags and levy a 10-cent fee on paper bags. SB270 is scheduled to roll out for large retailers in July 2015 and will go into effect for smaller stores in 2016. Nations Agree to Cut Greenhouse Gas Emissions. At talks held in Lima, Peru nations agreed to a plan to cut greenhouse gas emissions. What sets this treaty draft apart from previous endeavors to minimize greenhouse gas emissions is that it extended to undeveloped countries. EPA Drafts Measure to Lower Ozone Threshold. The new measure would reduce emission levels for smog-causing ozone. Essentially, the threshold for ozone would go from 75 parts per billion (ppb) to between 65 ppb and 70 ppb. The goal of this proposal is to improve air quality. The new rules need to be finalized by October 1, 2015 and businesses would have until 2037 to meet the new standards, depending on the severity of the area’s ozone problem. 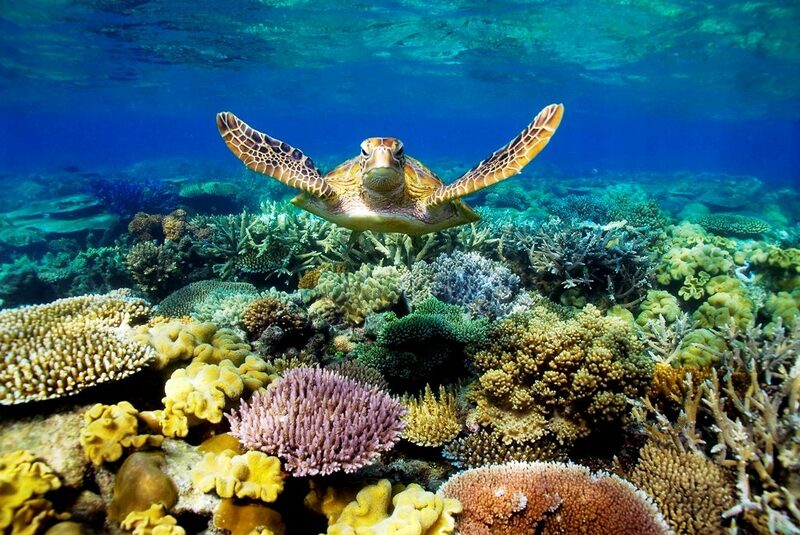 Australian Officials Propose Plan to Protect the Great Barrier Reef. It is estimated that the Great Barrier Reef has lost more than half of its coral since 1985 and the United Nations has warned that they may place the Reef on an ‘in danger’ list next year. With this in mind the Australian government has put together a 35-year plan that would protect and restore the reef. BP Held Accountable for 2010 Oil Spill. In October of 2014 a federal judge ruled that BP’s “gross negligence” and “willful misconduct” were to blame for the Deepwater Horizon oil spill in the Gulf of Mexico. This decision could end up costing BP up to $18 billion in fines under the Clean Water Act. Lawyers for BP asked the judge to reconsider and in November the judge said he would not reconsider his ruling. This was a busy and exciting year for green news and it’s looking like this trend will carry into 2015. It is really nice to see efforts to reduce greenhouse gases and reduce ozone thresholds, and we are also happy to see a plan in place to improve conditions in the Great Barrier Reef and the Gulf of Mexico. Of course, we at Factory Direct Promos are beyond thrilled that California banned disposable plastic bags and we cannot wait for this ban to go into action in July! Are there any green stories from 2014 that you think should have made our list? Let us know in the comments! Next Next post: Easy and Green Last Minute Christmas Gifts!